We see Thursday night as nothing less than "Friday Eve". 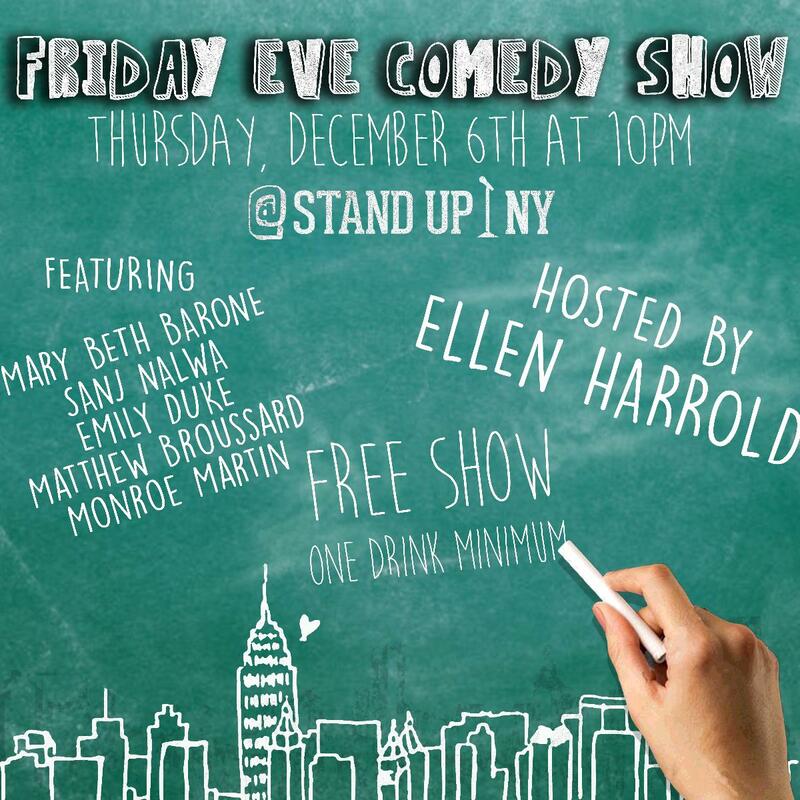 Start your weekend right on time with this free comedy show stacked with your favorite on-the-rise comedians in NYC and familiar faces you know from Conan, Fallon, Comedy Central and more! Free show and one drink minimum.